Posted by Onely in Celebrities, film review, single and happy, We like. . ., YouTube Style. People sometimes comment on (or laugh at) the fact that Lisa and I are two people co-writing a blog about being happily and progressively single. Most other singles’ blogs are, quite logically, written by a single person. So imagine our delight when we discovered another website co-managed by pair of single women, just like Onely! Except 2 Hopeful Spinsters consists of action-packed web video, instead of action-packed web words.Heather and Dellany (the Hopeful Spinsters)’s goal, like Onely’s, is to challenge the cobwebbed notions that thirty-something single women are bitter, jaded, ugly, and surrounded by cats (well, actually we’re not going to challenge that last one). I don’t date women over 30. But these 21st-century Spinsters need support to continue their quest. As in, something to pay a film crew with. If you like their mission check out their website www.2hopefulspinsters.com, where you can find their teaser and more hilarious webisodes like this one, where on leap day they ask random men on the street to marry them. We here at Onely note that 2 Hopeful Spinsters approaches their mission to redefine singleness slightly differently than Onely does: Our take is that many happy and successful singles are non-seeking, which means, like us, that they are not pursuing coupledom (though many would take it if they bumbled into the right person). Heather and Dellany take a more “seeking” approach. That’s fine because many progressive singles are in fact seeking for a mate, in addition to living their own lives and pursuing their own dreams. The most important thing is that we all get out the message that There is no right age for marrying, and that spinsters (male and female) are awesome. The series is set to launch in spring 2013 and features MICHAEL MADSEN, ZACK STENTZ & TODD SHERRY! 2 Hopeful Spinsters follows Heather & Dellany, an edgy mash-up of Thelma & Louise and Laverne & Shirley, as they redefine what it means to be 30-something singles in the 21st century. I love your blog. It’s so nice to see something else on the internets about me. However, I hate to be a wet blanket, but any project about spinsters that only lists the names of three male actors in their pitch makes me a little nervous about their creative intent. 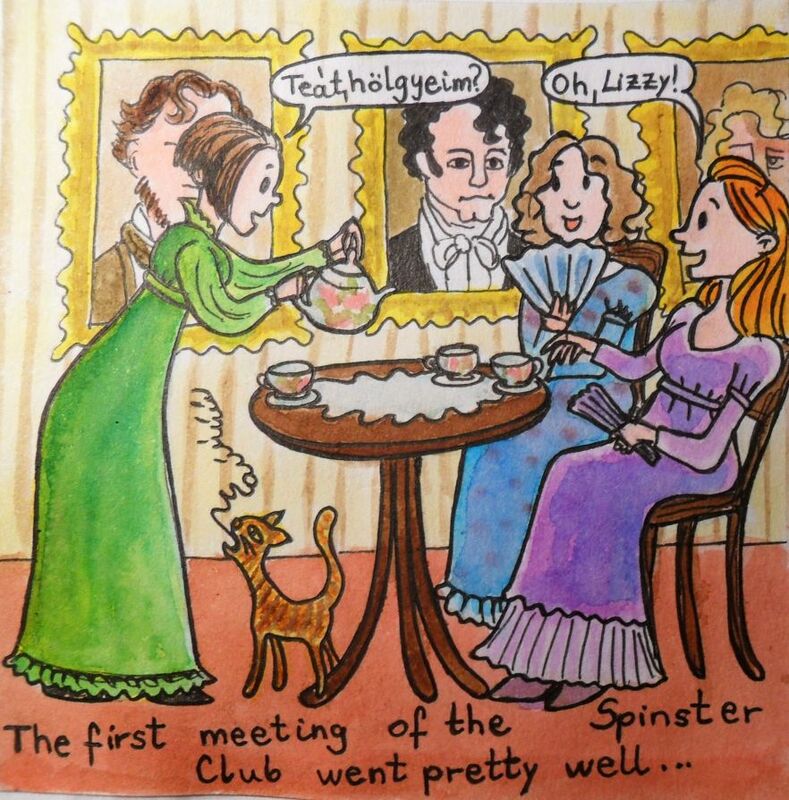 Maybe I’m missing something here, but, well, if it’s about spinsters, wouldn’t that be more about women and involve some female actor names? Hi, first time i discovered this blog, great! I’ve come here through gatewaywomen, so from looking into resources about being childless(notbychoice), and single to boot. I can relate to a lot here. As for the fear – of other people, and probably ourselves too, right? – of becoming “bitter, jaded, ugly and surrounded by cats” I’ve recently come to change my perspective on that comparing my own situation to couples, specifically those with children: I am meeting LOADS of women – mothers (- and men/dads, too-) – who are bitter (forever complaining about the amount of work children create, how having children took their life away from them, and how they’re not getting any recognition), jaded (happens very quickly in a mother with two toddlers in the house or so) AND ugly (my mum friends definitely have some more grey hair and more wrinkles than me – or at least the same amount. And if their bodies go out of shape and stay there from giving birth, so can I put on fat from working too much and eating nothing but sandwiches for lunch, right?). AND maybe not surrounded by cats but screaming toddlers or sulking teenagers AND the family dog. I have two of them who are constantly trying to trip me so I will bang my head and provide them with a meal more interesting than they usually get. ‘Cause I’m single and therefore no one will notice me until Alvin and Theo have picked my bones clean and weigh 40 pounds each. .